The MDC Museum of Art + Design announces the opening of Recent Acquisitions + Highlights, its first long format installation containing selections from the College’s art collection. The exhibition also marks the opening of the two renovated permanent galleries dedicated specifically to the collection, which include works by Alex Katz, Roy Lichtenstein, Pat Lipsky, Enrique Martínez Celaya, Ana Mendieta, Arnold Mesches, Louise Nevelson, Andres Serrano, Frank Stella, Andy Warhol, William Wegman and many others. 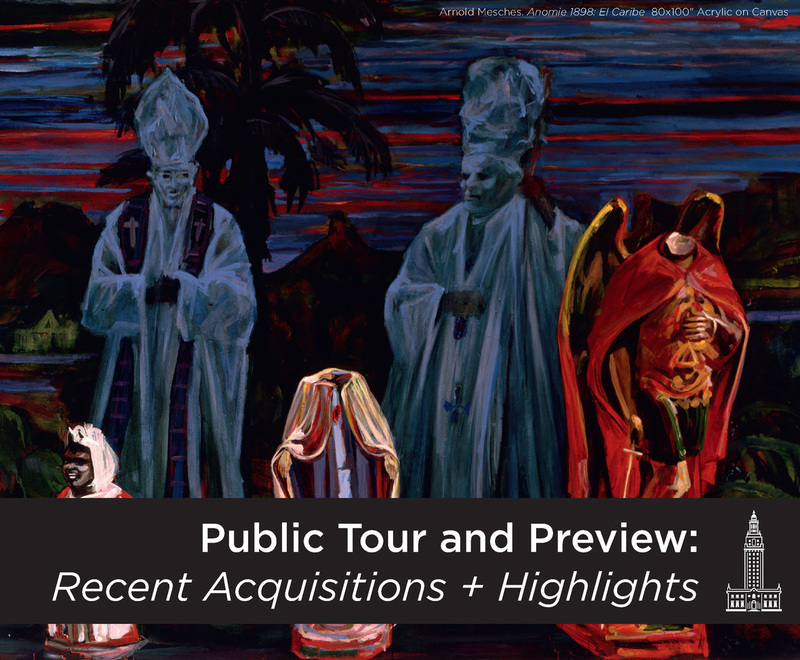 The tour will provide an in-depth look at the history of the College’s notable collection, highlight the works on view and provide insight into recent acquisitions. Attendees will be invited to a cafecito reception after the tour, taking place in the lobby within the College’s Historic Freedom Tower. Previous post ← “Tirame Un Like” El Nuevo Sencillo De Mayte La Guapa Ya Esta Disponible En Itunes.